Men and hair coloring have been taboo subjects. For some the conversation is just as “off the table” as the “don’t ask, don’t tell” gay policy for the military. But regardless of its status, men’s home hair coloring business is booming. According to industry experts, it grew by over 10% during 2010. Men, gray hair can make you look distinguished or it can make you look old and tired. Sometimes it lends credibility and other time it lands you a date at the retirement home for a 4 p.m. dinner. 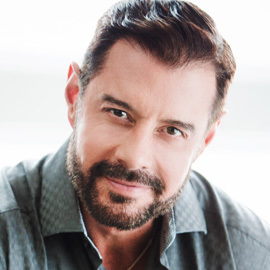 I know guys who gray prematurely and find themselves mostly gray in their mid 30’s, and I also know guys in their late 40’s that have not shown any signs of graying–not fair, but true. Whatever you decide to do about it, you should feel comfortable with the decision. Recently, Patrick Dempsey became the face of L’oreal’s new men’s home coloring product. Since it hit the market a year ago it has flown off the shelves. You are probably like most guys I know and are too cheap and/or embarrassed to let a professional color your hair. So in your do-it-yourself attempt to have hair like Mr. Dempsey, you should consider the following before trying to color your hair or risk looking like the tragic Wayne Newton. Patrick has "the hair" and look to endorse the new L'Oreal men's hair color kit. I'm not even going to address the plastic surgery issues, but the jet-black hair makes him look unnatural. Maybe he's the new face of Sharpie. Your “natural” color is lighter than you think. Always go for a color that’s a shade lighter than what you think you need. The longer the stuff stays on your head the darker it becomes. So pay attention to time. Use a mirror and make sure you get the back of your head as well. Just because you can’t see back there, doesn’t mean the rest of the world cannot either. 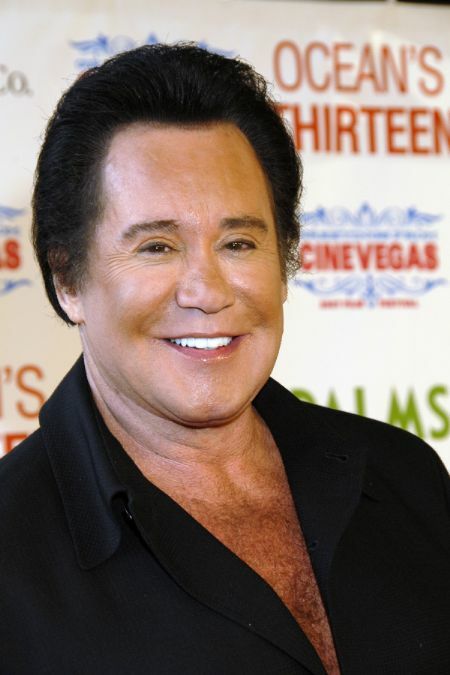 The older you get the lighter your hair should be or else you’ll risk getting the “Elvis look” or the “Wayne Newton” as his picture so disturbingly shows. If you are thinking of dying your hair, don’t wait until you head is complete gray or the change will be very drastic. “Whoa, what happened to you?” is not what you’re going for. Once you get started, you’ll need to do it every few weeks. It’s a commitment. Spend a few dollars and have a professional do it. You won’t regret it. What’s your take on men coloring their hair? Men have been coloring their hair for centuries. I’m just glad there are better products in the market besides the 3 shades previously available. You can buy the women’s hair color products. It’s the same and has more color options. Also costs less. I have a jet black hair, people always ask if I color it…I don’t, but was actually hoping I’d get more gray so that I could put some color in it, though I’d pick something like orange, green or blue. Overall, I think most men should just leave it alone. The grey looks fine, it’s one of the benefits of being a guy, we can get away with it. Kinda like if you don’t hair, don’t fit it so much, just buy a good pair of trimmers and shave it off. That’s so true Jamie, and not for only for men, women are guilty of that all the time. I love my gray hair… I have it since I turned 15, so why change it now? There’s no need to change if you are happy with it. 15, huh? Honestly.. I would love my husband to cover his gray hair. I believe it makes him look older. Gray hair just makes everyone look older. If we are all pumping Iron, pumping vitamins and skincare, why not let your hair look as young as the rest of us looks and feels. I also believe men and women should color their gray early before it’s too much of a change. But either way just do it. I went from dark brunette to blonde and soon others got used to the new me and it was not the subject of conversation. It’s worth it. I cut my nails, shave, trim my nose and ear hair, wear nice clothes, stay out of the sun and wear sun screen every day, brush my teeth, and work out. I do all these things to look good. Why should I not color my hair too? Also, young people do all kinds of stuff to their hair, not to forget about piercings, and tattoos. Why should only young people be allowed to have fun?